This is very fun vintage trim -- it's a string of off white daisies! It's a darling trim that would lend a lovely vintage flair to your sewing or crafts project! 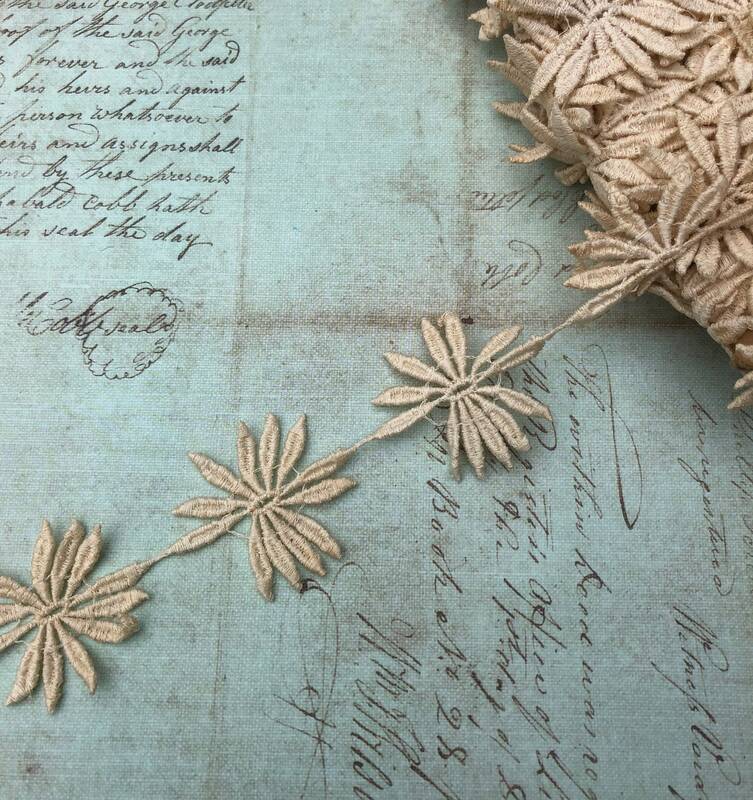 This trim measures 2 inches wide at the flower, and this listing is for 1 yard. This trim is in good condition, but does have some age discoloration, so some areas are more ecru than off-white and there are some areas with light brown discoloration.